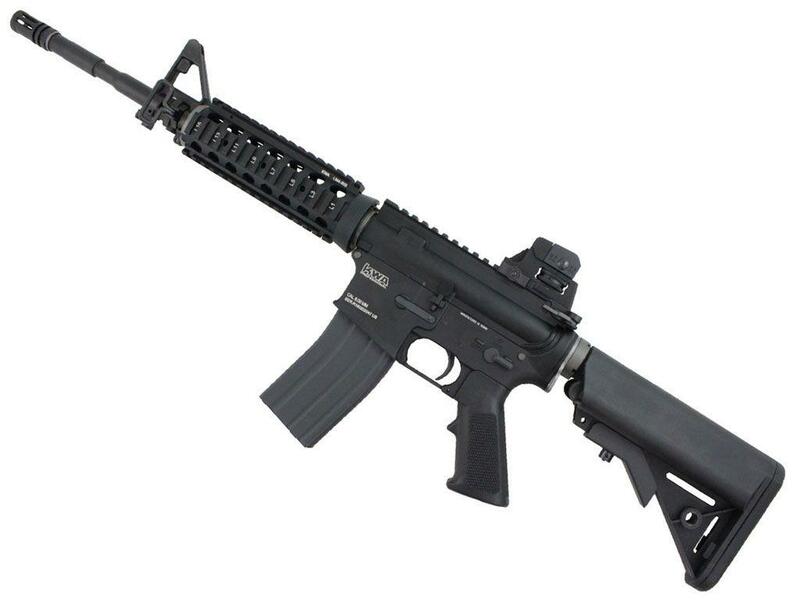 KWA LM4 RIS PTR GBB Airsoft Rifle | ReplicaAirguns.ca | Easter Weekend Sale! Comments: The KWA LM4 RIS PTR (Professional Training Rifle) is an AR style gas blowback airsoft rifle. 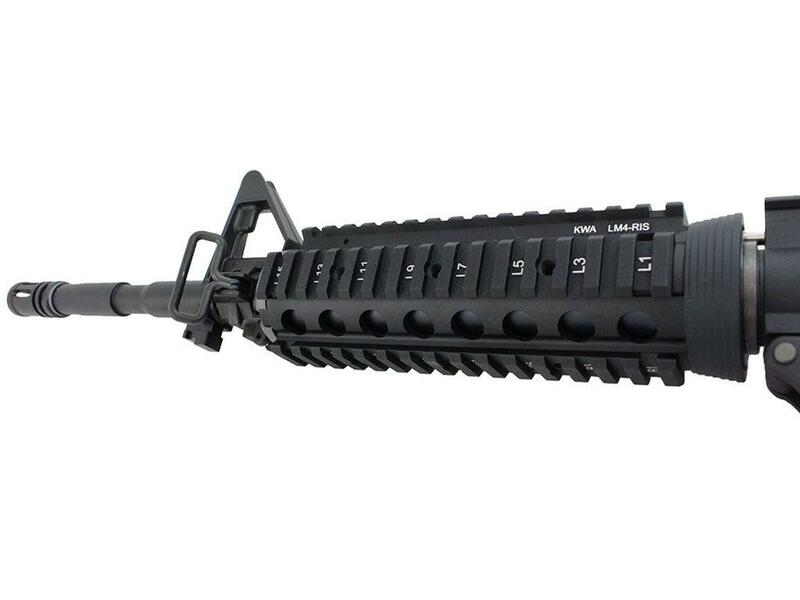 It features an aluminum alloy receiver and a full steel reinforced bolt carrier for strong reliable feedback. 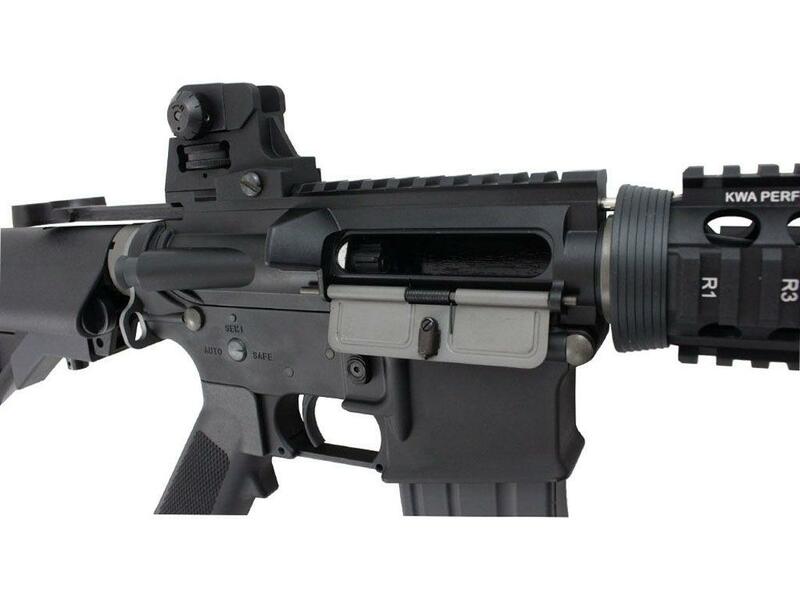 The MilSpec design and rail system allow the gun to be easily customized or upgraded with optic and grip accessories, as well as aftermarket AR15 pistol grips and trigger guards. It uses a Type 3 hop-up, accessible behind the dust cover, for improved range performance on the field. -KWA brands is one of the best out there. -Super heavy blowback action really bucks. -Really well built mostly aluminum and steel components. 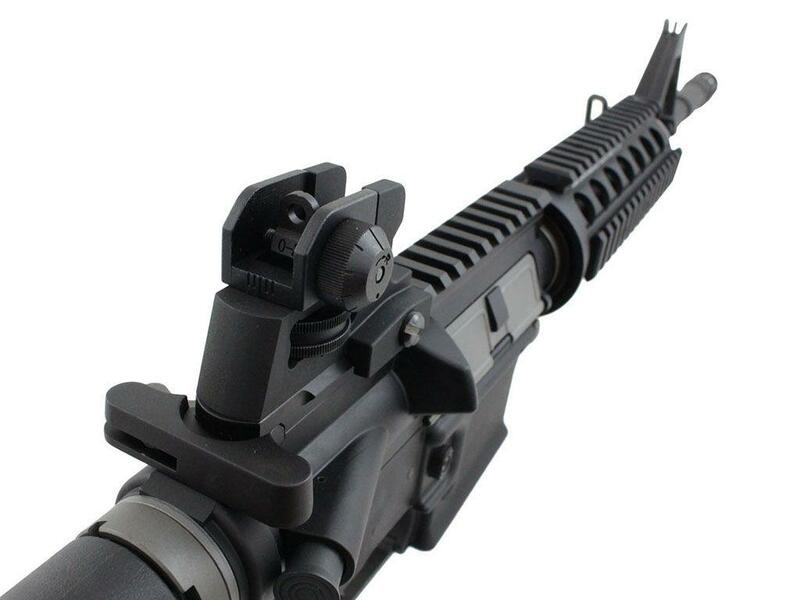 -Fully customizable MilSpec design throughout. -Amazingly realistic perfect for training. 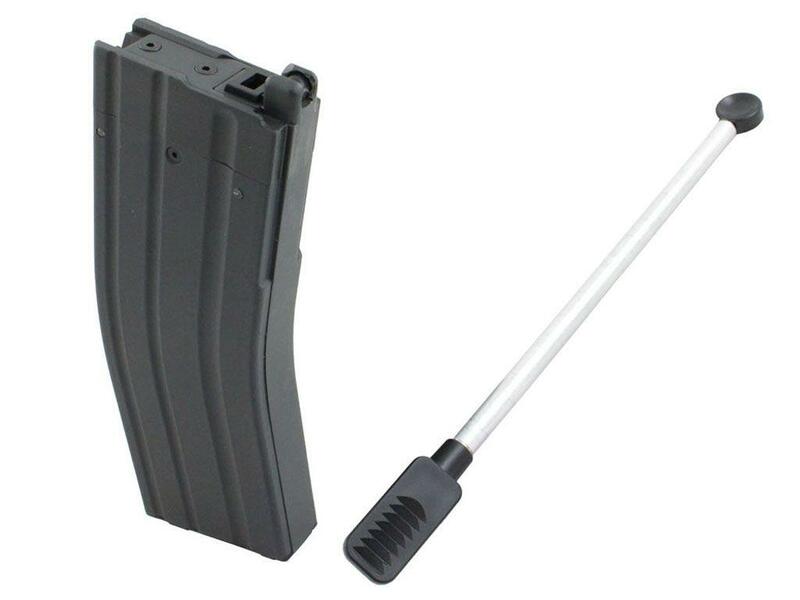 -Gas Magazine performs really well easily getting through the 40 rounds. -Type 3 Hop-up for extended range shooting. 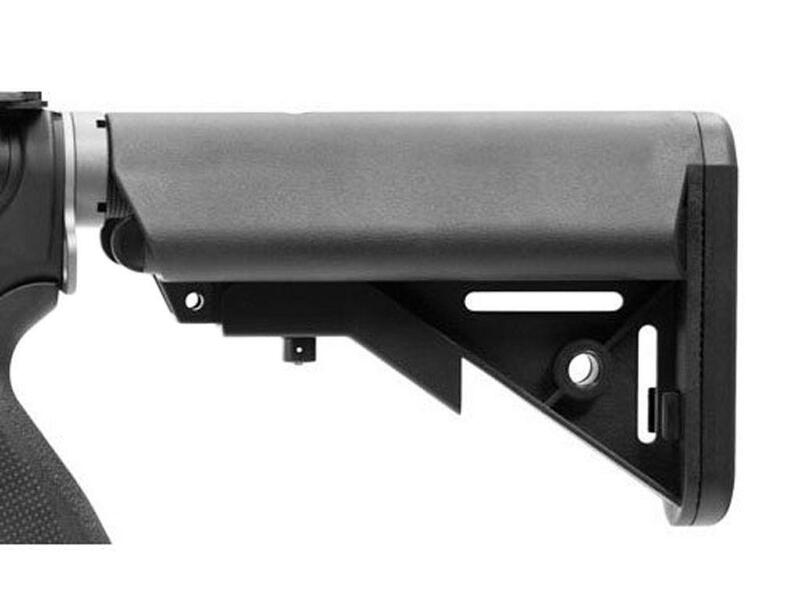 -GBB system has more limitation compared to an AEG, less rounds, not goof in cold weather. -Not the cheapest Airsoft rifles out there but worth every penny. -Hard to keep in stock. I know most go-to Airsoft rifles for game play are going to be an AEG since they are going to have a lot more rounds per mag and more consistent performance over a Gas Blowback Airsoft rifle. 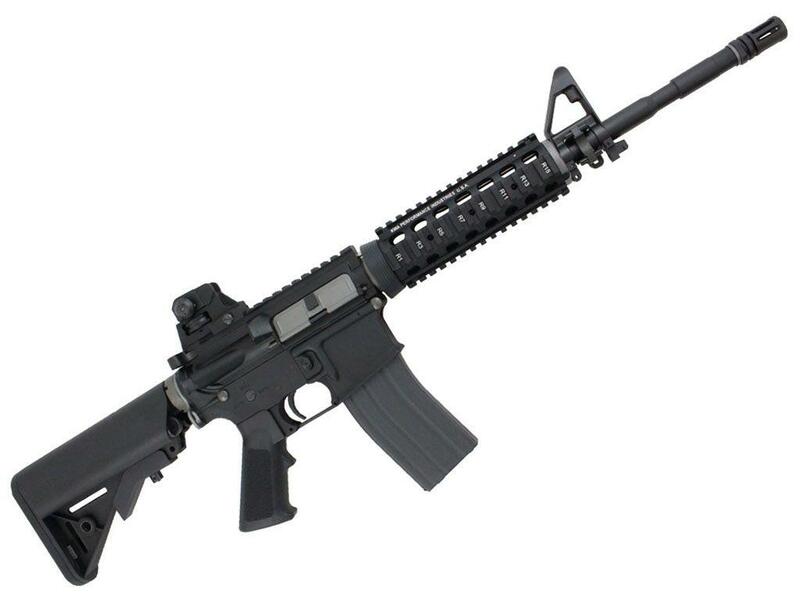 That said the KWA LM4 RIS PTR and KWA LM4 KR7 PTR Full Metal GBB Airsoft Rifles really make you want to reconsider this choice and try and figure out if perhaps you could use a Gas Blowback Airsoft Rifle on the field? Sure you will meed a lot of extra magazines but man is it ever fun feeling that blowback action on your shoulder and experiencing a more true to life experience shooting the KWA LM4 RIS PTR and KWA LM4 KR7 PTR Full Metal GBB Airsoft Rifles. 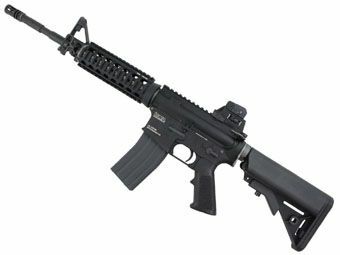 If you want the most realistic training Airsoft rifles then it would be hard to find a better option out there.